Traveling by train usually means having a good time. Faster than the car, it is also a relaxing way of transport and allows you to enjoy the scenery through the windows of the carriage. 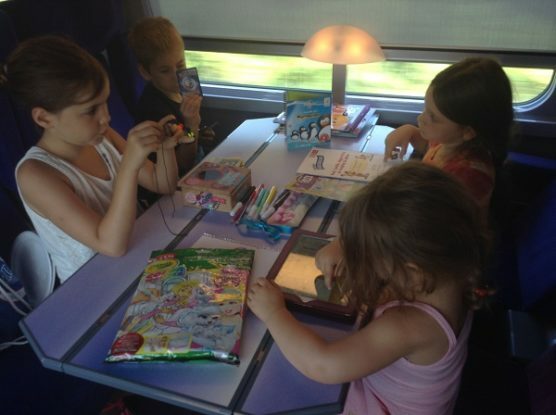 If it is very convenient and easy to travel by train when you are alone, the story might be a little bit more complicated when travelling with children. 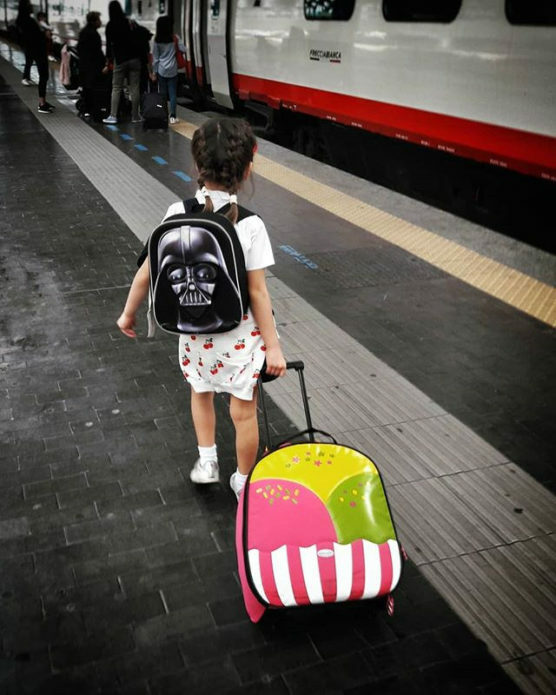 Indeed, traveling with the little ones isn’t that easy to improvise, that’s why today, Muchosol gives you some recommendations for travelling by train with children so that your journey goes as smoothly as possible. One thing that will make the train ride easier is to book the places well in advance. By assuring this, you will all sit together. Indeed, by booking in advance on the internet or at the ticket office of any station, you will have the opportunity to choose the places that you like. If you take into account our recommendations for travelling by train with children, there’s nothing to worry about. Also, Virgin trains even suggest special family offers and Family and Friends railcard. In addition, children under 5 years old can travel free of charge, but if the train is the kid can sit down on your knee or buy a seat. For children aged between 5 and 15 years old, Virgin trains offer discounts. For more info, please, click here. Also, organize yourself well and arrive at least 15 minutes earlier before the departure time. Keep in mind, that if your train leaves in a busy time, you will need more time to find the platform. Don’t forget that you travel with your children, better go well in advance if something unpredicted happens. Finally, when you are on the train, you will have time to find your seats and settle comfortably. You all settled? Here comes the time when some parents start panicking about. They are getting nervous because they can’t predict their child’s reactions and behaviour. However, in order to keep your child entertained and yourself calm, we suggest it’s time for the survival kit. In that way, the chances of your child to bother the other passengers are limited. If your kid gets bored take a quick walk to stretch the legs. Hungry? You can take out your snacks, or have a look at the restaurant of the train. Furthermore, if you need breastfeeding or changing diapers, you can do it onboard in Virgin trains or at the train stations. Just speak to the staff and they will make sure that you feel comfortable. If despite all your efforts, your baby starts crying, you can go in the space between the carriages to calm the baby down. When approaching your destination, we advise you to leave your seats a little before the train stops. Moreover, if your destination isn’t a major station, the train might stop just for a bit and then leave for the next destination. Therefore, a little before the destination you want to get off, stand by the door. Another case scenario that may occur is that you have to change trains so in these conditions you need to act quickly especially when you are travelling with children. Make sure that when you leave your seats in advance, you check your stuff and ensure that all belongings are with you. Then, head to the exit! However, if on the contrary, your stop is the last one of the schedule and you aren’t in a rush, we recommend that you let the other passengers get off first. Hence, you will have time to check that you aren’t forgetting something. Once on the platform, keep an eye on your little ones. Stations are often busy places and losing someone in the middle of the hustle and bustle can happen very quickly. In addition, always hold your child’s hands in order to avoid any accidents that may have a fatal ending.